BABU SUNDER SINGH INSTITUTE OF TECHNOLOGY & MANAGEMENT has been established to provide high quality technical and professional education. BABU SUNDER SINGH INSTITUTE OF TECHNOLOGY & MANAGEMENT was founded by BABU SUNDER SINGH FOUNDATION, a registered society of national repute with an objective to educate the masses in the various fields of Technology, Management, Pharmaceutical Sciences adequately supported by group of multinational companies & modern infrastructure. Promote Technical Education at par with International Standards. Collaborate With Institutions In India and Abroad. Integrate Spiritual and Moral Values with Education. Produce great engineers who set new standards and generate ideas of international significance..
Lecture Hall:The lecture halls are very spacious and well-ventilated. They are equipped with modern teaching aids &amp; specially designed for comfortable seating contours for concentrated study. Seminar Hall:The Institute&rsquo;s seminar hall is well equipped with modern audio-visual gadget, LCD projector etc. Computer Lab:It has been provided with 100 Dual Core P-IV terminals, laser printers and scanners to assist and facilitate students for any kind of work. All the systems have proper networking and are facilitated with high speed (Reliance) broadband internet connection. Chemistry Lab:The Lab has modern analytical instruments and facilities to carry out various experiments. 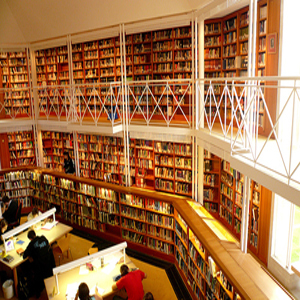 Library:Library is the heart, soul and mind of academic institutions whereas books provide the intellectual nourishment required for all kinds of academic endeavors. The Institute has separate block for books and information center to fulfill the needs of students for different academic programmes and facilitate the process of learning. Games &amp; Sports:Games and sports foster the sportsman spirit which is an essential requirement for success in every sphere of life. In addition to the curriculum, students are encouraged to play games every evening. Basketball, cricket, volleyball, badminton are the most happening games of the campus in addition to table tennis &amp; chess. 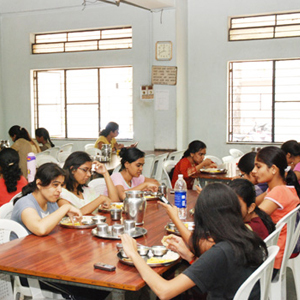 Canteen:The Institute has a full-fledged canteen serving snacks, tea, cool drinks, Chinese and South- Indian meals. Hygienically prepared special lunch for non residents of the campus is also provided by the canteen. Medical Facility:All students are provided adequate medical facilities in the campus. A medical officer is available round the clock. The institute has well equipped separate infirmaries for boys and girls. First aid is instantly provided under the able guidance of the medical officer. Institute also has ambulance facility available during emergency. BSSITM has its full fledged Corporate Resource Centre which facilitates best career prospects to the engineering .The prime objective of the CRC is to maintain strong industry Institute linkages and strive for the overall development & grooming of the students according to the Industry requirements by conducting qualitative interventions in sync with the identified industry manpower needs , Symposia, Seminars and conferences both at National and International level. CRC has maintained a sound rapport with large number of big companies, industrial conglomerates and reputed business houses. Corporate Resource Centre share great responsibility towards every students future. The institute has provided all the facilities for effective functioning of this department. Training activities are organized throughout the year for preparing the prospective students for campus selection programs. This department keeps on inviting various industries and reputed firms for campus recruitment.